Almost any time a coin is struck, concessions must be made for the sake of expediency. Such was the case with sculptor James Earle Fraser's masterpiece, the 1913-1938 Buffalo Nickel featuring a Native American and Black Diamond, the magnificent buffalo. An impressive coin, but Fraser no doubt wished it could have been better. And, it was - eventually. That's because no concessions were made when the U.S. Mint revived this classic design for the first $50 Gold Buffalo coin in 2006, which was struck in one ounce of pure 99.99% gold to bring out the full glory of the original design. This is how Fraser envisioned his coin: Big. Bold. Full of life. And, struck in the purest gold used to strike any U.S. coin! 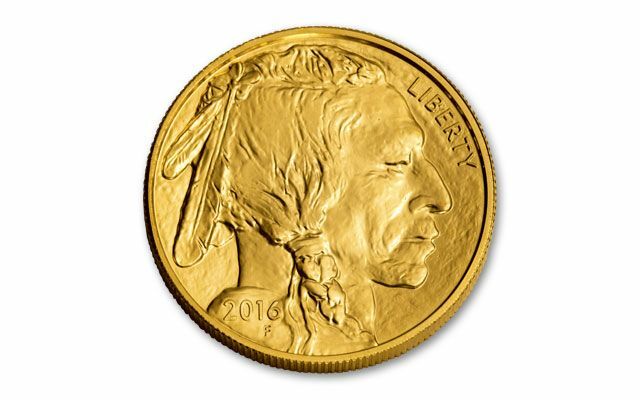 This 2016 $50 One-Ounce Gold Buffalo is a great option for those who like widely recognizable gold coins, as well as those who appreciate modern coins with classic designs. Both faces of the coin are taken from James Earle Fraser's Buffalo nickel. He created those designs with the aim of having a coin that was immediately recognizable as American. Toward that end, the obverse is dominated by a composite portrait of three Native American Chiefs. It also includes the inscription "LIBERTY", with the year of issue - 2016, and an "F", Fraser's last initial. The animal that gives the coin its name is shown on the reverse. It takes up the full horizontal diameter, enabling the holder to wonder at its size. Statutory inscription are included, as is the face value, $50, and information about its gold content, 1 OZ. .9999 FINE GOLD, also appear on the reverse. This coin was minted at the West Point Mint, though it does not have a mintmark. 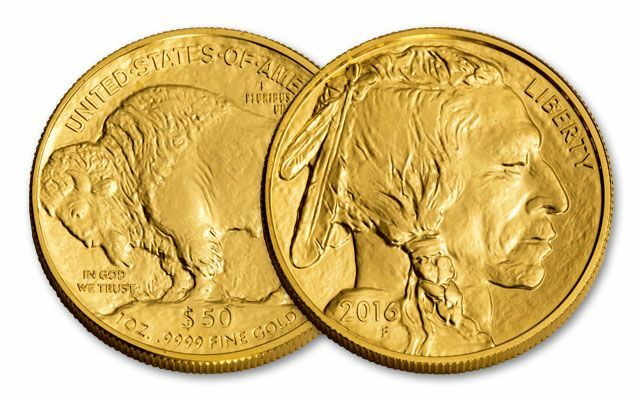 You can now add this U.S. Mint 2016 $50 Gold Buffalo to your collection. 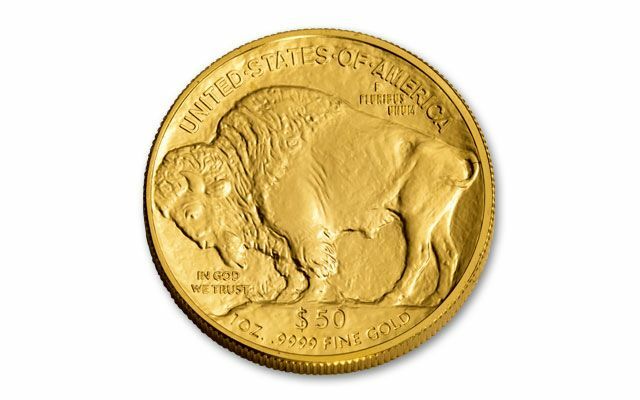 HOT OFF THE PRESSES: Freshly struck, get the newest $50 Gold Buffalo for 2016 now. BUFFALO GOLD SERIES: Struck from 2006 to 2016, Gold Buffalos were the first .9999 fine (24-karat) gold coins made by the U.S. Mint. From 2006-2016, the U.S. Mint has struck a 1-oz $50 gold version and in 2008 only, fractional $5, $10 and $25 were also struck. OBVERSE/REVERSE: The obverse features a Native American bust and the reverse features a standing Bison. Both designs were taken from the timeless classic design of the Buffalo Nickel designed by James Earle Fraser. These iconic images have been alluring to coin collectors for over 100 years! GRADE: Collectors are always looking for quality. Each coin is in its original mint packaging.